The Eurozone’s standby aid package for Greece offers only a short-term solution to Athens’s debt crisis and leaves many questions about the future of the single currency group and the EU unanswered. Financial markets welcomed the deal reached on April 11 by the finance ministers of the group of 16 countries that use the euro, reducing fears of an imminent default by Greece that would further undermine the currency. But economists say the Eurozone still looks divided after reaching agreement only at the third attempt, following two failed efforts to boost investors’ confidence in Greece in February and March, and did not tackle underlying problems such as slow growth and other economic problems in Europe. “This is not a defining moment for the Eurozone. What is concerning is that at every stage in recent weeks the EU has been resisting the inevitable and has been forced into action by financial markets,” said Simon Tilford, an economic analyst at the London-based Centre for European Reform think tank. The euro zone agreed on a $41bn package of three-year loans at interest of about five percent if Greece seeks help. The IMF would also be expected to supply 15 billion euros in the first year. But economists say the agreement will do little to restore the image of the Eurozone and the 27-country EU as a whole, badly damaged by divisions over how to resolve the problems in Greece and prevent “contagion” to other debt-ridden countries. “The image of the monetary union is weakening. The way the Greek crisis is managed and resolved will be crucial to the future of the Eurozone and, if the euro survives, to the EU’s future,” said Cinzia Alcidi of the Centre for European Policy Studies think tank in Brussels. The deal was a compromise by states that involved Germany accepting that Greece would not be forced to pay the going market rates to secure loans. Chancellor Angela Merkel had taken a tough stand because opinion polls show Germans oppose bailing out Greece, and she is wary of offering any loans before an important German state election on May 9 she can ill afford to lose. The Berlin government also is worried that any loan to Greece could face a legal challenge in Germany. EU officials say Germany and the whole EU have come a long way in the past few weeks, moving towards a deal to tackle Greece’s problems much faster than often happens in the bloc because of the seriousness of the problems. “Mrs Merkel has shown she is a true European,” a senior EU official said, praising her efforts after a statement of political support at an EU summit in February and an agreement reached at an EU summit on March 25 failed to calm markets. France, the other traditional driving force of the bloc, has largely been muted in any criticism of Berlin during the crisis because it knows Merkel faces a tough political balancing act, and put aside its initial reluctance to IMF involvement. Without the involvement of Germany, the EU’s biggest economy, any aid deal would be worthless. But political obstacles remain. Because of the opposition of ordinary Germans, it could still be risky for Merkel to approve the release of any German aid before May 9. “I don’t see how she could do a U-turn on what she has been saying until now and release aid before the May 9 election,” said Ulrike Guerot, a Berlin-based analyst with the European Council on Foreign Relations think tank. The FT Deutschland newspaper said Eurozone ministers appeared to be trying to deceive the public by saying Greece would not secure access to subsidised interest rates but that the formula agreed made sense. “An interest rate of five percent seems reasonably sensible: it is not a gift, but it shouldn’t break the Greeks’ neck either,” the newspaper wrote. Much will depend on whether Greece carries out tough reforms to reduce its budget deficit in the coming months or simply has its debt payments rolled over and takes on bigger debts that it cannot repay. Bond traders say the market may not yet be convinced Greek credit risk is over, including for credit default swaps, which enable investors to protect themselves from a default. “We expect the rest of the year to be marred by more volatility in the shortest CDS because Greece has growth contraction and falling tax revenues,” said Marc Ostwald, a strategist at Monument Securities. Alcidi said Greece could face more severe debt problems next year, and the EU had yet to show it had a system to cope with such problems in the future. 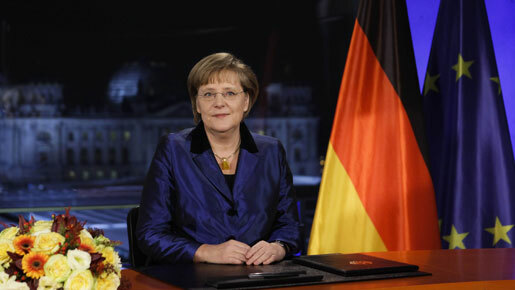 “We need more than ad hoc solutions, and above all we need Germany to show solidarity with the Eurozone,” she said.